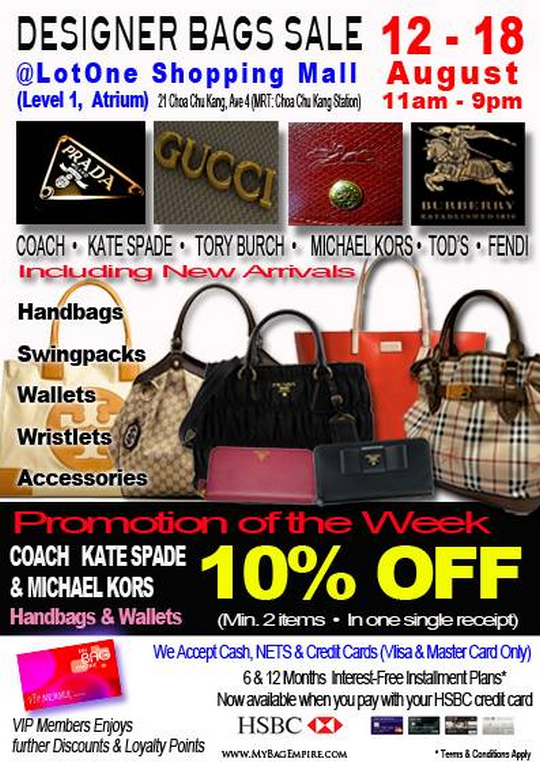 Check out our new arrivals for Kate Spade, Michael Kors & Tory Burch. Available at our week long event from 12 – 18 August @ Lot One Shopper’s Mall from 11am – 9pm. Enjoy additional 10% off marked down prices with purchase of 2 items in a single receipt.